It is amazing how a great smile can boost your confidence. But if you smile is discolored, crooked, or missing teeth, it can be hard to feel good about your smile. The good news is that fixing your smile and creating a beautiful, healthy, and full smile is easier than ever before! With today’s dental tools and technology, getting a smile that you feel confident showing off can be simpler than you think. At Granite Family Dentistry, we can give you that smile. We offer different services to help you smile bigger and brighter, showing off your smile and feeling confident again. We know that dentist visits aren’t as fun as we would like to think, and we understand that many people despise going to the dentist. But we know that we can help you love your smile again, which is why we try so hard to make a relaxing and positive environment for our patients. Regularly scheduled dentist visits for teeth cleaning, exams, and x-rays can help you maintain oral health as well as catch any problems before they get worse. Our cleaning and prevention services include everything from cleanings to x-rays. Cleanings allow for any excess plaque to be removed from teeth surfaces, helping to prevent diseases and keep your teeth looking good. 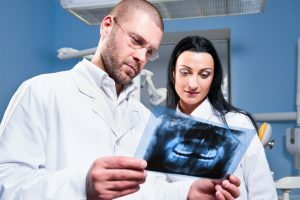 Dental x-rays can see problems that dentists cannot—cysts, bone loss, tumors, and problems inside the gums to name a few. By finding these early on, prevention may be easier, and a problem can be solved before it is too late. The main point of cosmetic dentistry is to get your smile looking beautiful and healthy again. Smile confidently with the help of our cosmetic dentistry services. Through cosmetic dentistry you can get your teeth reshaped, whitened, repaired if chipped or cracked, replaced if missing, and so much more. If you have an ugly tooth that is killing your smile, we can replace it! If you have a weird bite that is causing your smile to scare people, we can improve or correct it! Cosmetic dentistry has gotten more popular in recent years as people begin to realize a good smile will make or break someone’s first impression of you. With restoration services, we are able to help bring your smile back to a healthy state and improve your smile at the same time. Even if you take great care of your teeth, they could still get infections, decay, and have other problems that can ruin your smile and cause you pain. With these procedures, you can get the fixes you need to feel better and look great. Some of our restoration services include: composite fillings, crowns, fixed bridges, dentures, and root canal therapy. With these services, we can help your oral health get back to a good level as well as improve your smile. If you do not take good care of your teeth, you may end up getting periodontal disease. This disease can harm the gums and bone that support your teeth. If plaque is not removed, it can begin to attack gums and bone, which is why regular appointments and cleaning are necessary. Some symptoms of periodontal disease are bleeding gums, receding gums, red and puffy gums, teeth loss, and more. If you suspect you have periodontal disease, don’t hesitate to call for an appointment, we will get your teeth fixed and healthy as quickly as possible. We can diagnose, treat, and help you maintain oral health after your periodontal disease is taken care of. 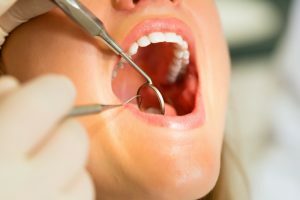 If you are looking for a dentist who can offer you different treatments and services for your teeth and smile to look good as new, look no further than Granite Family Dentistry. 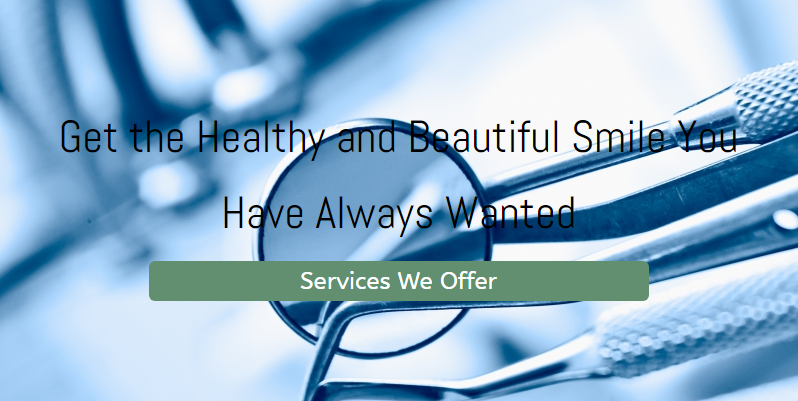 We offer services to help with your oral health, and give you a beautiful smile all while trying to make the experience as easy as possible for you. To schedule a dental exam, start working on your beautiful smile, or ask any questions you may have, contact us today.